Mr. Maragos founded Valley Dental Arts in 1974 to create a new standard of excellence in aesthetic and cosmetic dentistry. By combining exceptional craftsmanship with an artist’s eye, he has developed an industry-leading process for creating teeth that look and feel natural. But product perfection wasn’t the only standard Mr. Maragos envisioned for his business. Mr. Maragos" heritage is family-centric. Whatever the need or concern, it has always been “family first,” and he was determined to extend “family status” to every one of his dentist clients. His relationship-focused model of doing business worked as he grew Valley Dental Arts to become a national leader in delivering uncompromising quality, not only in craftsmanship, but also in customer service. 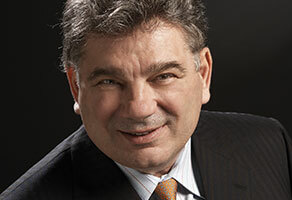 Known as "The Father of Contemporary Diagnostics", Mr. Maragos is one of only three dental artisans in the nation to be accredited through membership in the American Society for Dental Aesthetics (ASDA), where he also serves on the board. A member of the internationally renowned Oral Design Group, Mr. Maragos has lectured globally on laboratory communication, aesthetics, computer-aided design and computer-aided manufacturing (CAD/CAM) systems. He received the best design award and letter of appreciation from the Leading Dentist Association (LDA) in Japan. He is co-author of “Aesthetic and Restorative Dentistry: Material Selection Technique” (1st ed. ), and has served as a clinical instructor at Baylor University. Mr. Maragos has lived his vision for aesthetic excellence every day for more than 40 years. His team of like-minded professionals treats dentists like family and provides unequalled quality to dentists and their patients every day.